Welcome to our hotel, where even the leisure activities are included. Between lakes and mountains, on the doorstep of Geneva, there's something for everyone: water park, well-being, sport, shopping, business trips, hiking, etc. Leisure activities are included at this hotel located just a few minutes from Annecy, Geneva and the international airport. 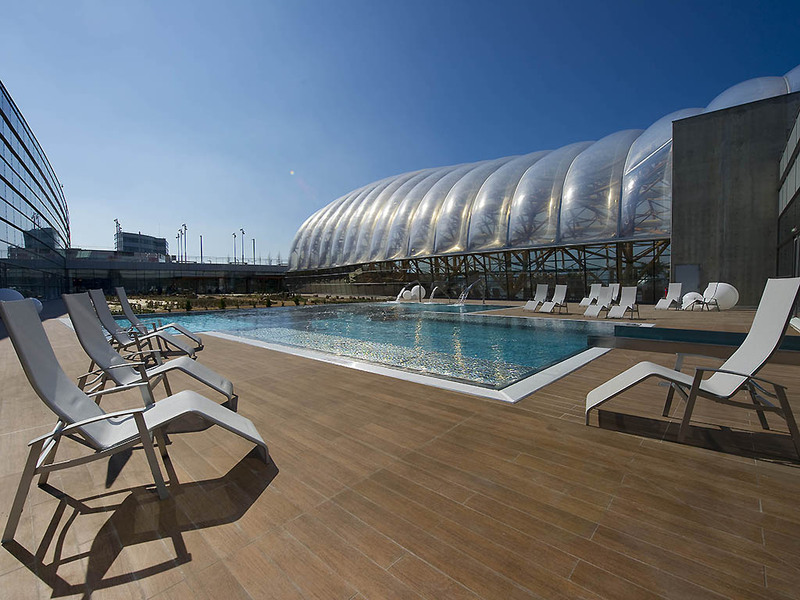 Located in the heart of the Vitam leisure and wellbeing center, it is ideal for leisure and business trips. The room price includes access to one of the leisure activities: wellbeing (EUR 10 supplement), aqua park, climbing, fitness and Vitam'Ludic. The Aqua Zone and Well-being Zone will be closed for draining from June 12 to 17, 2017 inclusive. Расположение практически в торговом центре компенсируется доступом в аквацентр. Доплачивала еще 12 евро за зону спа, осталась довольна. Отель типичный этой сети, завтрак сильно скромный. Но в ibis styles всегда такой. Симпатично, но материалы отделки простецкие и завтрак не особо.